This article contains affiliate links. This article was first published in April 2015 and updated in January 2019. Between latitude 14 and 18, well beyond the 30 degree threshold, a group of pioneer winemakers have started to produce what has been termed New Latitude Wines. Although some regions have been more successful than others at producing first class wines, Asia has been taking the lead on this matter and Thailand may just be the right place to take a renewed look at Old World vines grown in warmer climates. 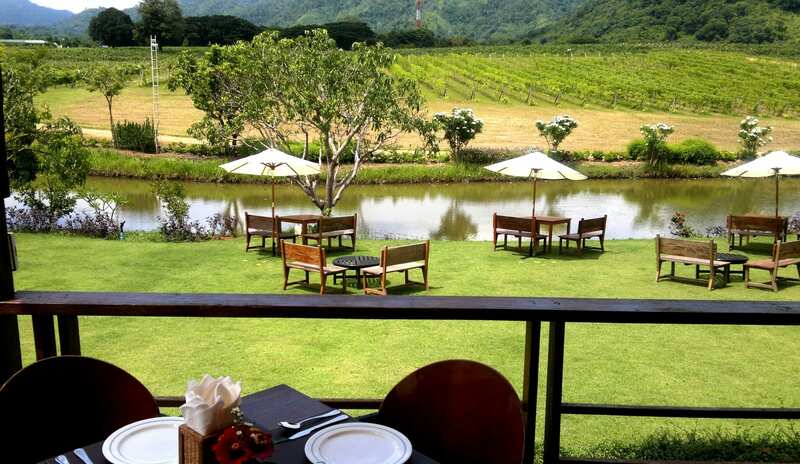 PB Valley was the first established winery in the mountainous Khao Yai district, about 2h from Bangkok. Today, there are several others that followed those visionary entrepreneurs. 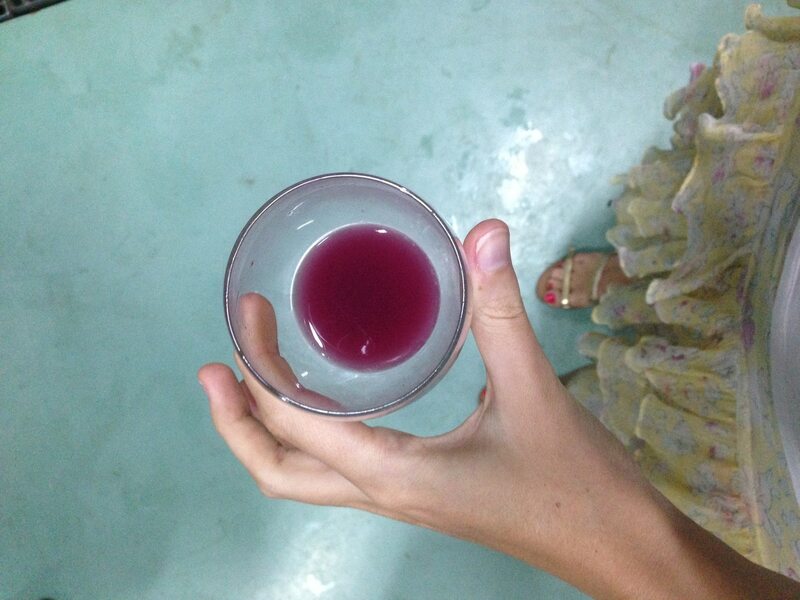 In those early days at the end of the 80s, winemaking in Thailand was not laid out. 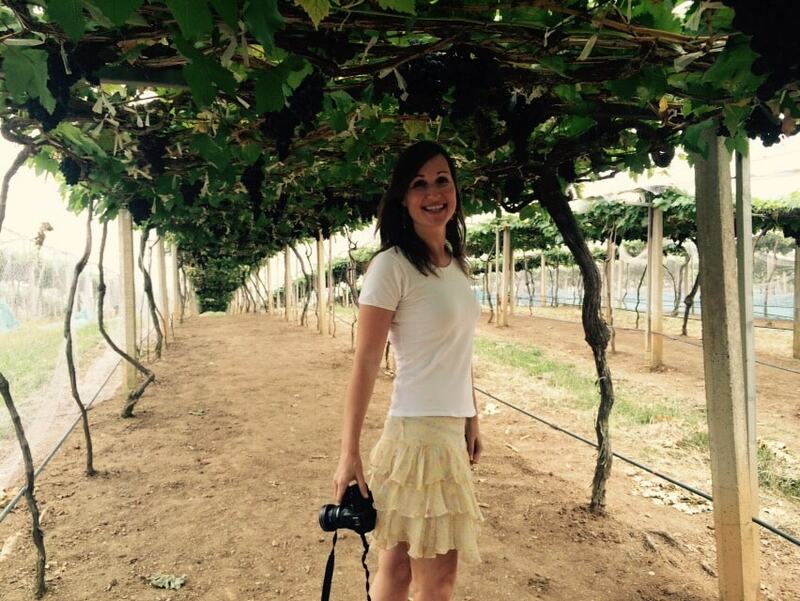 The winemakers had to find out what varieties of vines would work in the Thai soil and weather. The first harvest did not happen until a decade later when those young Tempranillo, Syrah and Chenin Blanc vines started to produce the first Thai wine grapes. PB Valley Khao Yai Winery’s founder’s appreciation for the finer things in life made him believe he was onto something great. On our visit, we had the pleasure of chatting with the winemaker, Mr. Prayut Piangbunta, one of only two certified Thai winemakers, the other one also employed by PB Valley Winery. Prayut’s foresight into the wine industry in his local country was, as he put it, a bit of a coincidence. He went to Germany to study beer brewing but was approached by PB Valley Winery’s founder to take over the management of the property shortly after. He could not pass such an opportunity. The winery is set in the mountains on the edge of Khao Yai National Park and it does feel cooler and remarkably more peaceful than Bangkok. Away from the main highway and reached through a series of turns and paths in pure agricultural land, cows herding in the background. It felt as if we had arrived at a slice of unexpected heaven. Guests are welcome to book one of the winery’s organized tours around the property onboard a funky train. Aside from having the chance to see all the varieties of grapes that are grown on site the tour also visits some of the fruit trees and orchards that flank the vines. PB Valley’s owner is a successful businessman in the agricultural business known for growing some of Thailand’s main crops. The restaurant and shop are located on top of a small hill with views over the gardens, the refreshing green grass and the vineyards. We were immediately transported to some distant land that seemed far away from Thailand while we enjoyed our cool grape juice on the wooden tables. I had to keep pinching myself throughout the visit, reminding myself that I wasn’t in Spain or France but rather the tropical Land of Smiles. As we visited during the dry season, the earth was still powdery dust, despite the occasional rains and looming clouds. Heribert, the Head of Marketing and Business Development, was pleased that the harvest was almost done. There were a few lines of grapes still to be picked, hanging ripe from the vines, but they were kept for the weekend’s Harvest Festival just a few days after our visit. He told us that the orchards also grow delicious table grapes and we get a chance to walk under the canopy of leafy vines and sweet grapes on our tour of the vineyard. Prayut walked with us through the winery. As it was the end of the harvest season, we were treated to some of the early wines of the year. Having grown up in a winery, I know that this is one of the more special tastings that are not available to the public. We tried both whites and reds at different stages of development. Some of them are just coming out of the steel tanks where they had been macerating with the skin and seeds. Others are in the middle of the fermentation process and the “oldest” were perhaps a week or two into separation. The red had that crisp yeasty flavor of a fermenting juice. It is a familiar flavor for me, the bitterness of the seeds and skin mixing with the sweetness of the fruit. It takes a trained connoisseur to distinguish the flavors and understand if this is the cloudy base of a winner, but we are assured that this was going to be a great vintage. The rains held off and the grapes had been harvested at just the right time. Winemaking is a talent that is very dependent on elements that the oenologists can’t control. Rain, pests, temperatures, changes in climate between day and night all have a massive impact on the final product. In the end, a good vintage is determined by the season and the weather more than it is by the winemaker. Sneakily wandering around the guts of a working winery I felt like the child who used to climb up the stairs of the large steel containers back home. The installation and machinery are remarkably similar to what we have back home. Suddenly, I was flooded with the images of the red grapes with their skin and juice exploding in my hands when I was a teenager. Prayut and the team had it all very well organized and clean considering the manual and rudimentary process that is used to extract the red fermented wine from the steel tanks and into the press. PB Valley Khao Yai Winery is clean and tidy, all sections from the welcome hall to the cellar are perfectly organized. So much so that at times it is easy to forget the team was busy with this year’s produce. After an enriching discussion about the team’s trials and tribulations with Old World vine varieties we cruised back through the orchards and vineyards. The trees in full bloom, from the bright yellow colors of the flowers to the green of the vines and gardens. You can book a full guided tour from Bangkok to Khao Yai Valley including a tour of the winery here . Alternatively, you can take a guided tour of the winery on arrival here . Back at the Great Hornbill Grill, which is also the bird on PB Valley’s logo, we enjoyed a fabulous lunch made of a mix and match of their best specialties paired with their wines. 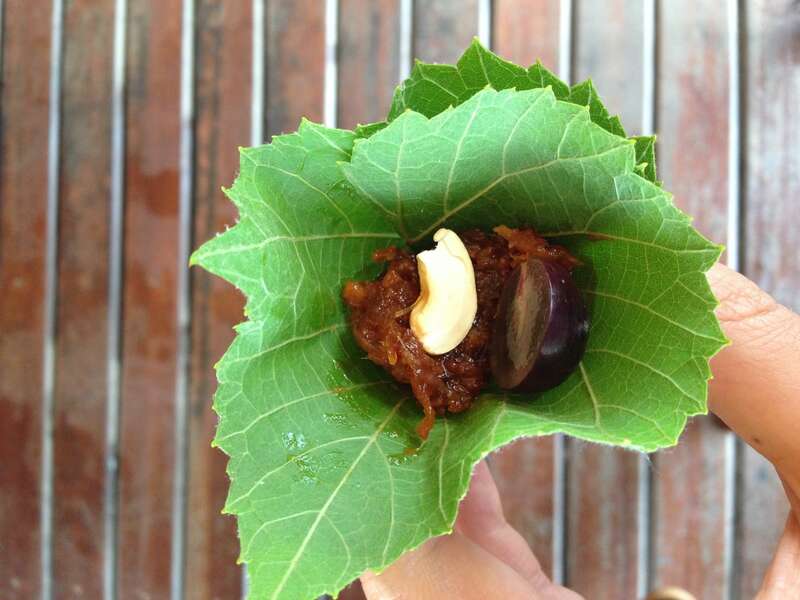 We sampled one of the bistro’s specialties, a small open-wrap made with the wine leaves and a flavorful blend of pork with spices. Sweet and savory and topped with grapes, peanuts and chilli. The refreshingly soft and light Chenin Blanc paired so well with it that I kept wrapping and devouring the small parcels. The mushroom stir-fry was a fantastically smokey and meaty partner to the Chenin Blanc. 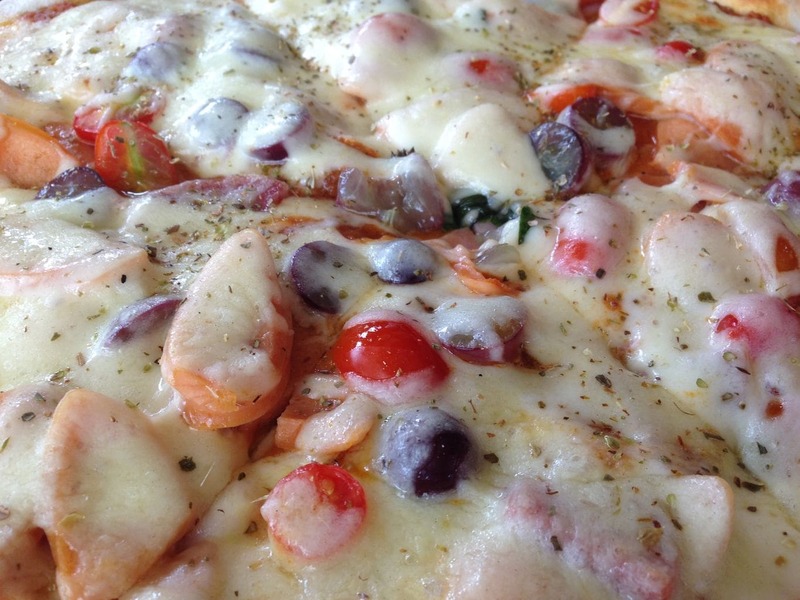 Grapes are also used to top one of the crunchiest pizzas I’ve had cooked over their wood-fire oven and lit up on weekends. They went particularly well with the bacon and cheese balancing off their saltiness. The beef curry was cooked until soft and the flaky pieces were separated with just the spoon. Desserts are not to be missed as the chef makes his own ice cream on site. Aside from the appropriate grape ice cream there was the dark grey charcoal ice cream, a novelty and a different take on a vanilla flavor with a sandy interesting texture. We had a line of all the main wines, from white to red and a great glass of rose which I always find a great companion to hot weather. The food at PB Valley Khao Yai Winery was delicious and the wines were a great partner to this setting, the company and the views. We were relaxed, happily savoring the chef’s specialties and the light wines. Thai wines are known to be relatively sweet, light and refreshing and perfectly complement the local cuisine and weather. I could not agree more, for after such a feast and great wines all I can think of is that New Latitude Wines could well be taking winemaking to a whole new level.